As we follow the yellow brink road down the financial downturn, we don’t seem to see any evidence that Emerald City, is in sight or even close. At my work place, the work load for each individual has double; that by the time I get home my energy to start a new article has evaporated. Seeing this happen I decided I must reassess my reasons for starting this blog in the first place. As I search other astrology blogs and review their articles and see what a fine job they are doing, I realized my style and viewpoint is a bit different, and that I try to end each of my articles with an upbeat note. One of my first teachers taught, that for all the difficulties the Universe may have placed in your natal chart, the Universe with all its’ compassion will give you an aspect to offset and set alright, what is in store for you. The aspect may not change your destiny, but will help you to cope with your destiny better. This is a very important point for me, in that how we see and believe in an aspect can change how it will work in our lives. It is not the planets that affect us, but how we see the planets, that affect us in our daily lives. I believe the mind is that powerful! While I have been studying astrology, I have also studied Christian Science, New Thought, metaphysical thinking, as well as the esoteric arts and sciences, which has given me my particular thinking pattern. So with every benefic or malefic aspect, I see it as an opportunity and so I hope to get to the next point in our learning experience in this life. The difficulties help us to get through the illusions and on to the next step and to realize the power to create the world we want is within the aspect. The aspect of the planet is given with the compassion of the Universe or God, to help us through the hurdles in this life. This made me think what planet or planets help us to see this hope and opportunity in our charts. Jupiter and Saturn the gods of the ancient world does the trick for me, but not alone and separate, but as twins (as in the sign of Gemini) working in harmony to bring about the world we wish to create. Saturn gives us structure, organization, consistency, security, stamina, steadfastness, limitations and boundaries. The power of Saturn to help the individual to be true to it self, and to have the perseverance, endurance, conscientiousness, patience, wisdom, dependability, and consistency helps one to solve difficult situations and tribulations. Jupiter represents trust, belief, growth, thriving, good fortune, prosperity, and the broadening of one’s horizons. A developed sense of wisdom, hope, morality, understanding, truth, principles, and values which would represent what the individual stands for. Seeing how Jupiter and Saturn is situated in our charts, will give us the clues we need to help, nudge and move them along to give us the inspiration and imagination to deal with life’s problems, stresses and tribulations. As we enter further into 2010 and as the predictions of doom and gloom are in the air, just remember that there is light at the end of the tunnel, but we must look for it. And that our guides Jupiter and Saturn can shed light to give us hope and encouragement and lead us to the aspect in our chart that will be the pivoting turning point in our life. My whole reason for writing this particular article was during my visits to the other astrological sites, I came across a well written and documented article on the problems caused by a grand T-square with asteroids in August. My problem with said article is that it gave no indication what we could do to minimize the damage in our lives. This convinced me to continue my blog, because I don’t believe we are predestined and need to suffer unnecessarily and that using astrology wisely; one can minimize the stresses to one’s being. 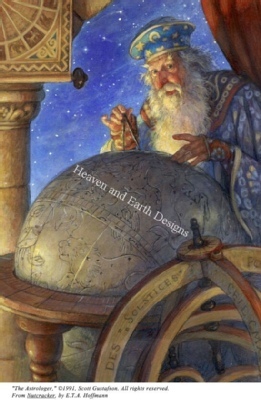 As a serious practitioner of astrology I try to keep up with all new findings and developments and at the same time, trying to continue my reading and research into all the new translations of the old astrological texts that are becoming available. The more I read and study, the more I realize I am only touching the surface, and there is so much to absorb and learn. In reading the old text, even though it is translated for the modern reader can be an endurance test which takes determination, stamina and courage to get through and to understand. I bulldoze through the parts I don’t understand in the hopes that when I get to the end of the book, something might click. Usually if it is a difficult text like Morin’s books, it takes reading the book or chapter three or four times and joining discussion groups on traditional astrology before the light bulb goes on. Recently I was able to obtain a copy of Persian Nativities Volume One, translated and edited by Benjamin N. Dykes, PhD, trying to understand it will add to my understanding of delineating the natal charts with more clarity and precision. The work is so scholarly that I have to read many of the sentences three or four times, if not more, and I still do not understand what I just read. This is not the fault of the translator, but the need of me, the reader to persevere until I begin to understand what is being said. After bulldozing through thirty three pages, something I read lit the light bulb and how I should continue my studies flashed before me. I heard a famous actor once say that he was good at his craft because he became and was one with the person he was portraying. It came into my thoughts if I am to learn and master this, I must become one with the astrologer who wrote the thesis and the period he lived in. Bingo, I needed to see the stars and planets through their eyes, not mine in this day and age. Suddenly I realized that the Sun represented the King, or Emperor, or Caliph in the natal chart. The Moon represented the Queen or Empress and Mercury was the court jester, and or the courtiers. Venus was the artisans, craftsmen, educators, and orators, while Mars was the soldiers, guards, protectors, movers and politicians of the time. Saturn represented the legislators, the judges and keepers of the laws of the land. Jupiter on the other hand was the Bishops, High Priests and Priestesses and the Prophets in the charts. I wanted to know if these keywords would make sense and give clearer delineation, so I decided to take Morin’s outline for the Planet’s enemies and friends and see what happens. Sun: Friends with all planets but Saturn. The King is a friend to all, but those who make his words law, as the King must be diligent that they are carrying out his will. The Queen doesn’t trust the law enforcers or soldiers, as the wives of King Henry the 8th can testify. Mercury: Friends with all but Mars. The court jester or courtiers can’t count on the soldiers to be on their side when the King turns on them. The artisans can not create with laws that hinders their creativity and with soldiers that enforced the laws. The only friend the soldiers have is the King they serve. The Bishops are friends to all as they are the spiritual advisors, but the soldiers have their loyalty with the king. The legislators and Judges can easily make friends with the Bishops to control the masses. Saturn is friends with Mercury but Mercury does not bring him luck, which shows the courtiers’ loyalty follows whoever the ruler is. To me these keywords give these planets a personality that I can relate to and understand, so when they react to each other through their aspects, their actions gives me a story I can retell with details. Treating each planet as complex as they are, and in the hierarchy they are in, develops a picture of the individual with a richer texture and diversity. I hope you will give it a try and see if it works for you. It may or may not be a help, but at least you will see these planets in a new and different light when you encounter them again in other charts. In this very busy and high tech world we live in, when we approach each New and Full Moon period, it gives us the opportunity to meditate and contemplate where we have been and where we might go in the future. 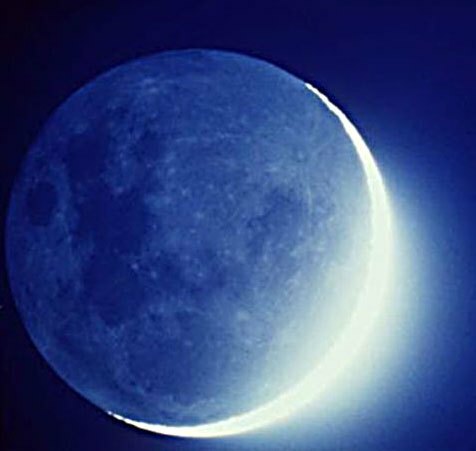 With the Full Moon on February 28th 2010 in the 10th Degree of Virgo in opposition to the Sun conjunct Jupiter in the same sign of Pisces with Venus and Uranus, it compels us to use our higher intuition to unveil the secrets to our future happiness and success. It is telling us to take the first small step and to go and follow our hunches that will lead us to the next portal to work and to develop our intuition, which will then lead us to trust the higher intuition leading to divine revelations. As the hard and difficult aspects between the major planets are still on the horizon, the Universe has blessed us with this gift of higher intuition to help guide us through the obstacles so we will reach our final goals during this period of time. “The Sabian symbol for the Moon in 10 degrees of Virgo and for the Sun in 10 degrees of Pisces is taken from “The Sabian Symbols in Astrology by Marc Edmund Jones”, and what follows are my comments. Virgo 10 Two heads looking out and beyond the shadows This is a symbol of man’s transcendental powers of comprehension, emphasized here in his ability to reduce all knowledge to exact and efficient formulas. His stereoscopic reason gives him an intellectual genius on the one hand and endows him with an exceptional mechanical sense in everyday or practical realms on the other. The inner and outer facets of reality are merged in the effectiveness of his judgment. The keyword is intelligence. When positive, the degree is a superb capacity for seeing both sides in every issue and so bringing all the various phases of human enterprise to some unity of common purpose, and when negative, hopeless fragmentation of self within itself. Pisces 10 An aviator in the clouds This is a symbol of man’s transcendental powers of comprehension, emphasized here in his exploratory genius and his gift for creating the endless hypotheses he needs for solving the problems of a modern world. He is able to take a perspective superior to any involvement or pattern of limitation, and to examine any special complex of human affairs with a consistent thoroughness of over-view. The inner and outer realms of reality are brought to a point of effective revelation of each other. The keyword is observation. When positive, the degree is special competence in whole judgment and long-range planning, and when negative, insensate otherworldliness or irresponsible isolationism. The American Heritage dictionary for the meaning of transcendental is as follows: “Concerned with the a priori or intuitive basis of knowledge as independent of experience”. The Sabian symbols are emphasizing and reinforcing the aspects of Venus and Uranus in Pisces to develop our intuition to solve our problems. After developing and using our higher intuition, the keywords in successfully finishing a project are intelligence, observation and awareness. Awareness and intuition goes hand in hand in solving any situation in life. With this in mind we need to use this Full Moon’s energy to guide us in the use our intuition, and to give it the respect and honor it deserves. As an ardent advocate of Solar and Lunar Returns, the principle rule is that any planet or planets near or conjunct an angle becomes the guiding point in the interpretation and influence in the chart for the coming year or month. I have noticed that the same rule applies to the natal chart when any planets are near or conjunct one of the four cardinal angles, and it appears to me the planet or planets tends to take on more importance and brilliance then the planets not near the angles. The planets closest to the angles tend to be the pivoting point for those planets they aspect, sending their rays to activate their energy when they are activated by a transit, direction or progression. The influence of the pivoting planet gives them priority to express their energy before other planets, not in aspect to a planet in close proximity to an angle. I have also noticed when the other planet is activated it relays the energy back to the pivoting planet and activates it, even though the pivoting planet was not in aspect to any transits etcetera. Case in point is my own chart with Neptune conjunct the ascendant trine Mercury and Uranus in the ninth house, and square Venus in the tenth house. Mercury is the ruler of my chart, but Neptune always tries to intimidate the other planets in thinking he is the superior planet and tries to persuade them into thinking he is the co-ruler as he conjuncts the ascendant ruled by Mercury. This is like a movie about the conflicts of family life, but living with these aspects one realizes that truth is stranger than any fiction one could dream up. With Neptune always interfering when I least expect it, I have come to a point in my life that I just try to go with the flow, and that makes for happier bedfellows. 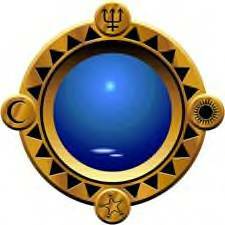 I can never think or work on any project without Neptune bringing more complexities and visions to the end result. The situation is either instigated by my own fertile imaginations or by other’s fertile imaginations and visions. It is like a science fiction or fantasy story that has gone haywire, and has lost control. Neptune represents the principle of dissolving boundaries, attitudes, opinions, and theories which permits one to try to feel and touch the borders of the transcendental and subtle areas of our minds and thoughts. In this article I have concentrated on the planet or planets conjunct the ascendant as the first house represents the way in which the individual spontaneously approaches the surrounding world, and the basic mood, manner and disposition in which the individual will start something new. It allows others to see at a glance by our facial and body language our attitudes and our demeanor. As the old adage “a picture is worth a thousand words”, is the key word for the first house. It also allows the individual to have a more complete knowledge of the inner workings of their mind, emotions, abilities and what makes up their philosophy of living. Understanding where we come from and what makes us tick, allows us to have a clearer picture of where we are going and what we wish to accomplish. As I always like to repeat, it is not important to know or understand what you want, but to understand and know what you don’t want. To finalize, if you do have a planet or planets near or conjunct the ascendant, just thank your lucky stars and work with them.